PDF E-Book with 139 pages (no DRM or watersign), same content as printed version. Licence limited for use of one person. No device limit. 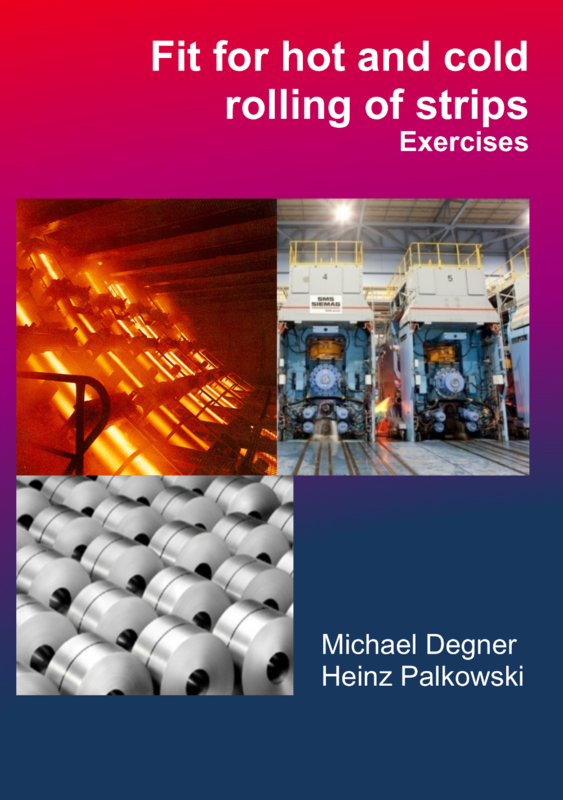 This compilation of exercises with further explanations of technological aspects in the field of hot and cold rolling of strip material is the prosecution of the books “Mathematics for physicists and engineers – Basics” and “Technology of Hot Strip Production – Calculation examples and exercises” and “Modern Hot Strip Production – Process and Plant Technology”. The latter one gives the theoretical and technical information for process understanding and the basic information for solving the exercises. This book is focusing on engineers at site in Hot Strip Mills and Cold Rolling Mills and students of rolling techniques. The addressed and discussed problems are near to practice and give students and engineer’s hints for answering typical daily questions. For metal forming students this book guarantees assistance due to preparation of examinations at the universities. Moreover, it helps to understand the process and its side effects. According to the slogan “From a practitioner to practitioners” a complete derivation of the rolling theory is not given in the formulation of the necessary basic rolling formula. Theory is introduced only as far as necessary to get a meaningful understanding of the hot and cold rolling process. The complete theory for hot and cold rolling is given in the relevant basic literature of metal forming technology and in the book “Basics in Flat Rolling” compiled by the authors of this exercise book.